How Far is Gokhale Swaminath? 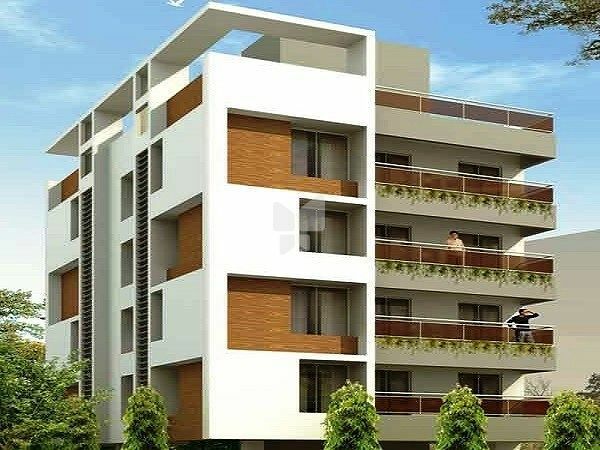 Swaminath is a residential project of 3 BHK Affluent Apartments at Karve Nagar, a location of umpteen luxuries on the western side of Pune. A combination of contemporary indoors complemented with modern outdoors, makes Swaminath a truly affluent address. While Karve Nagar has an aura of calmness around it, it is in close proximity of Kothrud, one of the most happening suburbs of Pune. From reputed schools like Bal Shikshan and P Jog High School to colleges like Cummins Engineering College, quality education is assured. City Pride Kothrud and Yashwantrao Chavan Natyagruha offer delightful entertainment. Sahayadri Hospital offers ultramodern healthcare in the immediate neighbourhood. What’s more; Big Bazaar Kothrud takes care of all the daily shopping needs in a hassle-free manner. External Walls - 6” thick clay bricks / fly-ash blocks. Internal Walls - 4” thick clay bricks / fly-ash blocks. External Walls - Double coat with water proofing, using Reliance Fibers. Internal - Neeru finish. POP Finish for walls and ceilings. Light coloured vitrified tiles 600 mm X 600 mm in all rooms (Kajaria / Johnson / Nitco). Anti-skid ceramic flooring 300 mm X 300 for toilets and terraces. Decorative main entrance with Veneer finish. Main door with safety lock, night latch, tower bolt & magic eye. Granite / Marble frame for all washroom doors. Powder coated sliding windows with mosquito net. Mild steel safety grills for all windows. Granite / Marble window frames. Jaquar / Equivalent C. P. fittings. Dado tiles up to Ceiling level. Concealed G. I. pipes plumbing with hot and cold arrangements. Provision for exhaust fan & water heater. Branded MCB and ELCB (Earth Leakage Circuit Breaker) for apartment. Adequate points with branded modular switches (Anchor / Roma/ Legrand) and copper wiring(Polycab / finolex). T.V. and telephone points in living room and master bedroom. 15 Amps power points for electrical appliances. Water resistant paint for external walls. O.B.D. paint on internal Walls.